Hello, all you fresh-vegetable lovers. This message is for you. If you’re in the San Francisco Bay Area, it’s definitely not too late to grow your own greens. This includes collards, kale and broccoli, known as the Brassica—the mustard family. In fact it might be an excellent time to start them, since when it cools down around here, these veggies thrive and the white moths that obliterate them during the summer months seem to disappear altogether. To start, get yourself some organic seeds at a plant shop or supermarket. 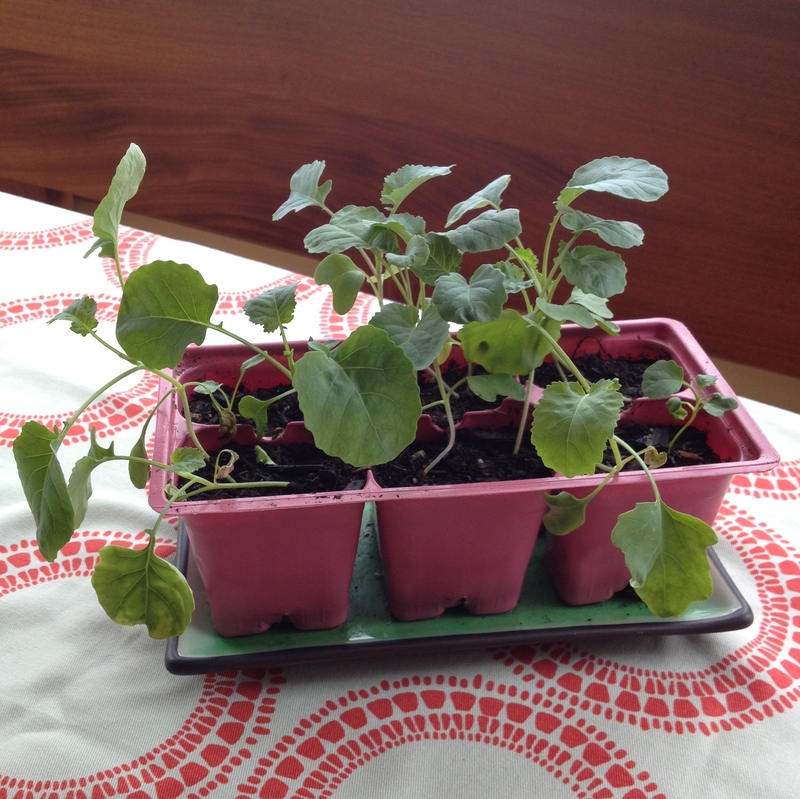 I recommend you start the sprouts on a sunny windowsill and transplant them outside once you have a true leaf or two. You can put them in the ground or in a planter box with some organic fertilizer and organic chicken or steer manure. Don’t worry about the foggy weather; these guys love it. You’ll be eating fresh broccoli in about six-to-eight weeks. You could be ready to serve them by Thanksgiving. Imagine that! I almost forgot: Brassica includes delicious homegrown cauliflower. It’s the best when it goes straight from garden to table. Come to think of it, it’s the only way I really like cauliflower. It’s gotta be fresh.